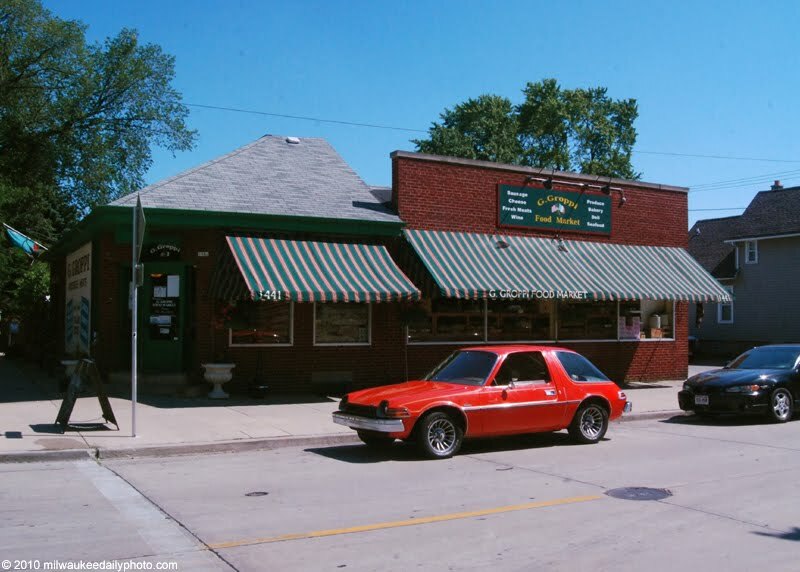 In nearby Bay View, the G. Groppi Food Market has been in the neighborhood for 100 years. A remnant of the days before supermarkets, the market makes their own sausage from a family recipe, and sells imported meats, wines, and cheeses. The red AMC Pacer makes the photo look 30 years old, but it really was taken just yesterday! Wow! a Pacer! now that is a blast from the past. I'm glad this market still exists too.